On 27th March 2019, peacefully surrounded by his family. Aged 83. Dearest husband and friend of Robyn. Dearly loved and respected father and father-in-law of Dianne and Steve, Kerri and Paul, Mark and Diana. Adored Grandan of Sarah and Ethan, Rebekah, Jacob; Olivia, Laura, and Katie; and Great Grandan of Cooper. Loved brother and brother-in-law of Jean and Ian, and Ina and Bob. Loved brother-in-law of Lyns and Terry, and a loved uncle and respected friend of so many. In lieu of flowers donations to the Wellington Free Ambulance (Wairarapa Service) PO Box 601 Wellington 6140 would be appreciated and may be left at the service. 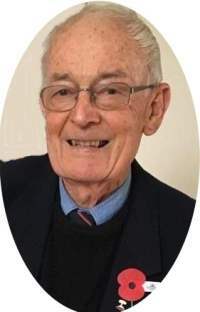 A celebration of Bill’s life will be held in the Richmond Chapel, Richmond Rd, Carterton on Monday 1st April 2019 at 2.00pm followed by private cremation. Robyn, Dianne and Steve, Kerri and Paul, Mark and Diana together with their families wish to express their heartfelt thanks to relatives, friends, neighbours and work colleagues who supported them in various ways during their recent loss of Bill. We have appreciated the lovely personal messages of sympathy, cards, letters, flowers, food, phone calls, visits, tributes, and the presence of so many at the service. A special thanks to Dr Craig Cherry for his care of Bill over the years, to the staff at Wellington Hospital; and to Rev Maggie Smith and Rev Jenny Henson for their guidance and comforting words. Please accept this as a personal acknowledgement of our sincere appreciation.